With over 30 years of experience, Northeast Great Dane is a full service trailer and chassis repair facility. We operate along the entire North East with locations in Massachusetts, New Jersey, and New York. Understanding your needs for quick turnaround time and quality work, Northeast Great Dane is setting the standards, not just following them. 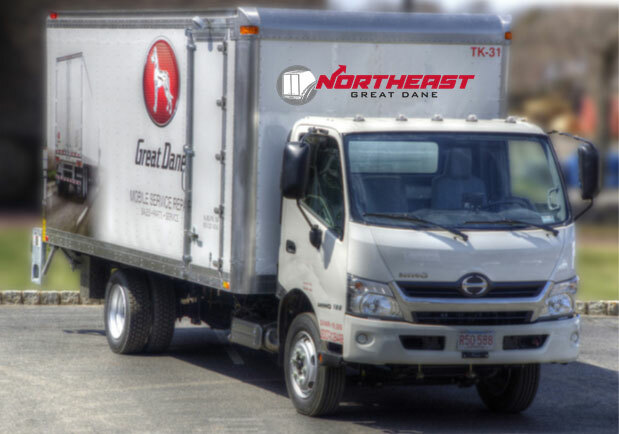 At Northeast Great Dane, our goal is to provide your company the quality service you deserve so that your trailers last longer, perform better and cost less to operate. With over 50 specialized bays and up to 75 technicians on duty we are equipped to handle any make of trailer, body, or equipment at all locations. Our experience ranges from periodic maintenance (pm) to bridged and severely damaged trailers. In addition to our service bays, we also have a state of the art 60' paint booth at our Hillsborough, NJ location with highly experienced body and paint experts. Northeast Great Dane has been able to thrive in a business that depends solely on customer satisfaction. Our goal has been the same for over thirty years, "Service our customers with the quality and honesty they deserve and strive for nothing less than exceptional results". That philosophy has taken our company from a small repair shop in Florida, NY, to a leading service provider covering the entire Northeast.